The magical day you have been counting down to is finally here!!! After a marathon of labor you will get the biggest reward of all. Meeting your baby for the very first time. Many, many cute and emotive photos will be taken this day and revisited for years to come. 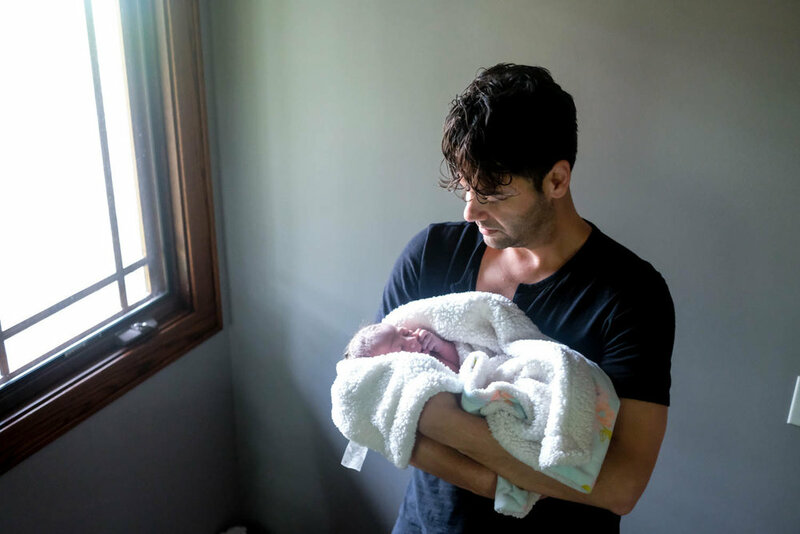 To help you get the absolute best photos on this magical day for your family I have put together a list of the must have moments and tips that will help tell your birth story. Think about who will be in the room already. Can they be in charge of taking photos? FAMILY MEMBER - Sisters, Cousins and Grandmas often accompany the birthing family and can help document some special moments. DOULA -A doula is a professional birth coach who also provides emotional support as well as education and resources before, during and after birth. I absolutely love working with doulas and see first hand the positive impact they bring to the birthing family. Most doulas will take some photos, some are trained in birth photography and offer both services. If you are working with a doula OR if you are a doula reading this check out my class designed specifically to help doulas take better photos for the families they work with @birthphoto_courses_fordoulas. P.S if you ask your doula to take photos realize that she will be doing two jobs, her main priority will be your comfort however she should be compensated for being the photographer as well. Talk to your doula about her fee for photos, especially if she has taken a photography training. If she doesn’t charge then a big fat tip is the way to go. These photos are priceless! PROFESSIONAL PHOTOGRAPHER- Your best bet to having continuity in your story and including every one on your birth team in the photos. Much like a wedding photographer who captures the story of your wedding day, a birth photographer will do the same. Because the photographers job is solely to document they are able to be a fly on your wall throughout your labor, birth and post-partum. You will not miss a single moment. No matter who is documenting your birth this list will surely help you get great photos of this once-in-a-lifetime experience for your family. Mom will have her game face on during a contraction and then relax and laugh with the family in between. Moms usually forget the little breaks and moments of joy and connection they experience between intense moments of labor. Make sure to get a photo of each moment, the intensity and the break. Moms also experience what I like to call labor-land when they focus inward and lose track of time and their surroundings and may not remember many details of the day. Having these photos will show mom how strong she is and the work she did to bring baby here. The father or partner plays an integral role in baby’s birth. They are the protector of the birth space, birth partner, the yin to the yang that made this baby possible. Make sure to document the Partner’s story as well. These are some of the favorite moments for Moms to see after. So be sure to document the support that mom receives. PRO TIP: Document: Hugs, slow dances through contractions, gentle touches, moments of connection or holding hands. For Partner, if you are the designated photographer, you can take photos of details like holding hands, you can use a selfie stick to get a wider view and set the phone camera on a timer mode so you don’t have to strain to hit the shutter button on your phone camera, instead hit the shutter and then move the phone to where you want it. Because this day is so exciting many details will be missed as you navigate the hustle and bustle of welcoming a new person into your world. It’s a great idea to utilize the time before baby’s arrival and document some details and the environment. 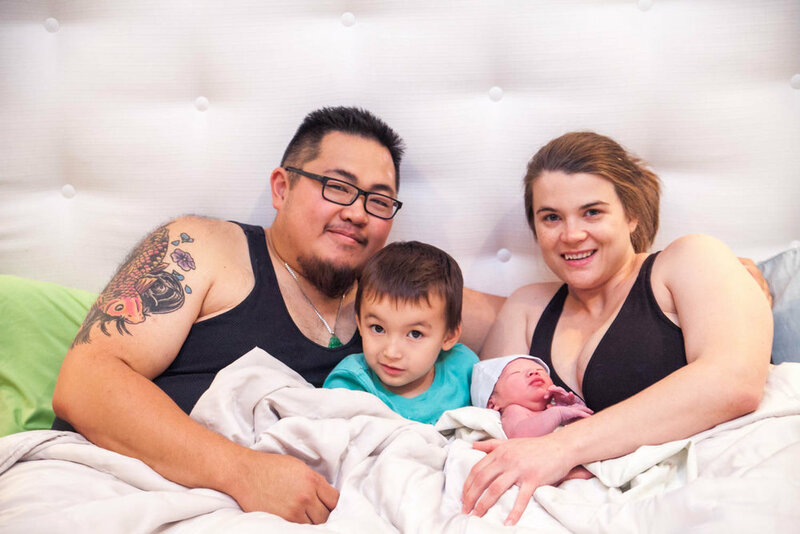 These images will help tell your birth story by setting the scene. If you Are giving birth at the hospital click on the image below to get your guide. This is THE PHOTO to capture. The epitome of birth the I DID IT moment. If this was a wedding this would be the “You may now kiss the bride moment”. For this photo it is best that someone other than the parents captures it because Dad/Partner may forget in the excitement and it’s always great to have both parents in the photo. However if you choose not to have anyone else in the room with you, leave the camera or your phone close by once Mom starts pushing. When the initial excitement settles, pick up your phone or camera and start snapping photos. PRO TIP: Because Mom very well may be reclining and looking down at the baby it’s best to shoot slightly from above. Choose angles that make mom look good, she deserves it!! The tiny person everyone was waiting for is finally HERE!!! Babies change very quickly, they start to look different within hours. Make sure to grab a photo of the baby every few minutes. And don’t forget to document the little features like, ears, tiny fingers and toes, hair. PRO TIP: You can get some fantastic photos standing right over Mom’s shoulder. If you plan on nursing this is a must have photo. Once mom gets a good latch, take photos from a few different angles to celebrate this new relationship. If baby is bottle fed, document their very first meal! No matter how baby eats this is a special and bonding time for a family. Did you know that just 30 minutes of skin to skin with dad/partner in the first 24 hours rewires Dad’s bran? It’s also an exceptionally exciting moment because with baby’s arrival everything becomes REAL for your partner. PRO TIP: Take a few photos with Dad/Partner as the main focus then shoot over their shoulder for some cute shots of baby. ”How much do they weigh? !” is the very first question anyone asks when they find out a baby has been born. Important moments to document are: The weight, measurements, footprints, baby in warmer. The partner will usually accompany baby to the warmer and sooth them during the exam. Make sure to get photos of this interaction. The most popular photo for home birth baby exams is the tiny feet in the hanging scale. Are you a Doula? Join my free facebook group for more tips, practice and lessons. You will never forget the people who were there to support you during labor and birth. Many moms form a lifelong bond with their doctor or midwife and doula. It’s nice to have a reminder of what they look like as well as how supportive they were. This photo could be posed or more casual and documentary. Before I leave a birth I always aim to get one family photo of everyone together looking into the camera. I also always take this photo on my camera and my clients phone because I want them to have it right away. Keep this process relatively short and shoot a few frames. It’s a great idea to move around and tilt the camera slightly in different directions to capture different angles. You can then choose the best one. PRO TIP: Have mom sit up as much as she can, sit everyone close together, shoot slightly from above and ask (if needed) that they pull their chin forward, and put their shoulders down. It feels a bit odd at first but I promise it does wonders. Thanks so much for reading! I hope this helps you get great photos of the day you become a new family. Reach out here if you are curious about having a birth photographer. don’t forget your check list!!! It’s a well designed, handy print out with a list of shots and examples so you don’t have to try to remember it all!! I will also periodically send out fun and helpful photos tips.